At the time of writing it’s nearly Christmas, and you will be busy getting your house ready for the festive season. We hope you have a wonderful time, but don’t forget the four-legged members of your family. They deserve to be part of your celebrations too; well, some of the time at least (you might want to keep them away from your Christmas dinner table), so here are our tips for keeping your dog(s) safe and happy this Christmas time. A happy dog is a safe dog; you don’t want to see your pooch unhappy and in distress, after all. Therefore, follow these safety tips for your dog’s protection. There are all kinds of things your dog can get his mouth around over Christmas, and we don’t just mean the Brussel sprouts your kids will be throwing under the table. Christmas is a time for decorations, pine trees, and presents, so be mindful of some of the following. Keep pooch away from the tree. Not only do you not want it tippling over, but you don’t want your dog chewing your Christmas decorations, or nibbling through the wires of your fairy lights. They are choking and electrical hazards, respectively. And pine needles can cause irritation when swallowed and can harm your poor animal’s gastrointestinal tract. There is more here on the dangers your Christmas tree can cause. Be mindful of any Christmas presents lying around too. Your dog’ sensitive nose can sniff a tasty treat from a mile away (we are exaggerating), so if there are any wrapped up boxes of fudge and chocolate lying around, your dog will be unwrapping those tasty treats faster than your kids on Christmas morning. Yummy to be sure, but for your dog, chocolate is highly toxic and can cause the problems mentioned here. For your sake and your dog’s sake, keep all pressies away from their curious paws and noses. Remember to keep pooch away from the Christmas table, as we have already suggested. While it’s okay to make up a dish of some of your leftovers – turkey, veggies, and fruit – you should avoid any foods that are too fatty for your dog, including turkey skin, pigs in blankets (not literally, we are talking the bacon wrapped sausages ), and mince pies. Keep your dog in another room when you’re having your dinner, and perhaps feed him before you sit down and eat, so he is less likely to pester you and your family for your festive nibbles. It’s not only food that can give your dog distress over the Christmas period. They can easily become stressed by large crowds of people, loud noises (such as party poppers and fireworks), and the change in their usual routine. Make up a safe space for your dog; somewhere they can escape to when they get overwhelmed by your festive celebrations, and as much as possible, try to stick to a familiar routine, so they don’t become anxious or confused. Our final safety tip refers to the cold, both inside and outside of the home. While your dog’s protective coat will provide some insulation, you still need to pay attention to how they are feeling. Provide plenty of warm bedding inside your home, and when going for walks, try to avoid walking on snow or icy services. Your dog can get frostbite – see more here – so perhaps consider buying your dog some protective doggy boots to keep them safe from harm. 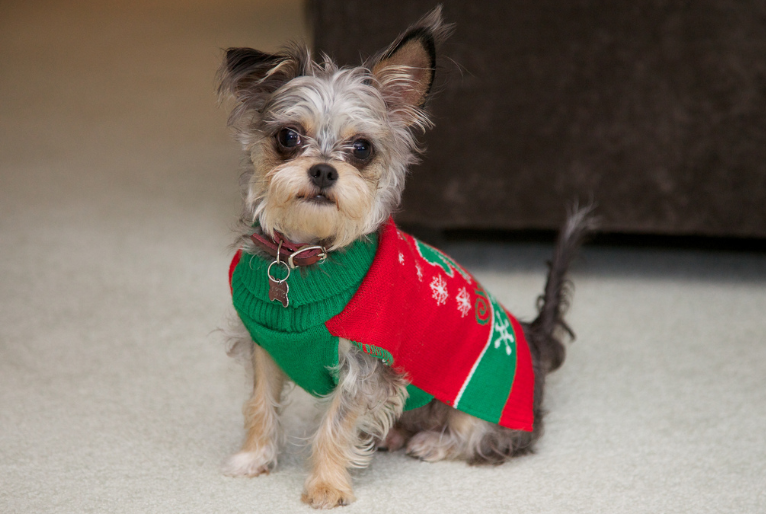 Your dog deserves to feel the love and fun of the Christmas season, so find ways to celebrate with them. For starters, don’t forget to buy them a Christmas present. 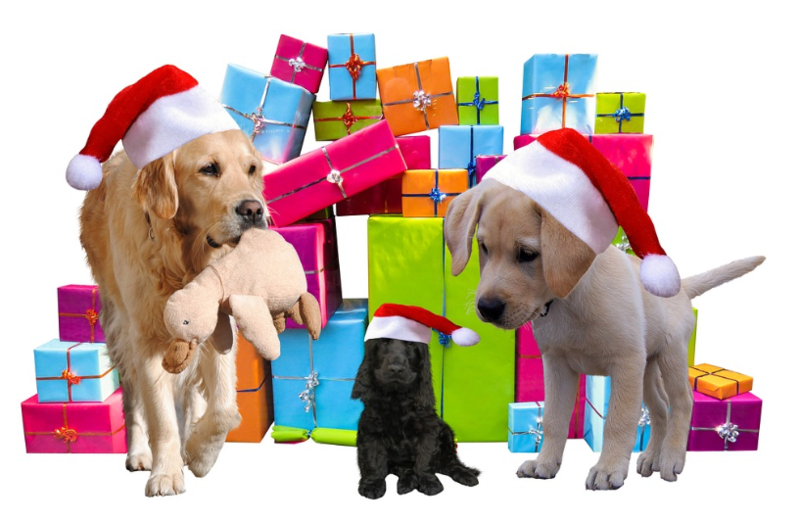 While they will probably have more fun with the Christmas wrapping than the actual gift inside, you might still consider one of these gift ideas for your furry friend. The dog sweater we mentioned in the linked article will be particularly useful this winter time, so be sure to buy something that looks a little festive. We also came across some wonderful handcrafted dog collars online – follow this link for more information – so be sure to stick one in your dog’s Christmas stocking. Give your dog his own Christmas treats, as he will need something to nibble on while you’re putting your feet up with your chocolates and mince pies. Your local pet store and supermarket will have plenty of dog-centric treats in stock at this time of year, so take a look, or add these gourmet treats to your Amazon wishlist and have them ready for delivery (by Santa Claus or otherwise) in time for the festive season. Give your dog plenty of attention, as while you will be busy over Christmas, he is still deserving of some love and pampering. Play games with him, take him for his daily walks (provided it’s not too cold) and let him join in with some of your Christmas celebrations. He might want to get his own space eventually, especially when your house gets busy, but it would be a shame to purposely shut him away from every Christmas activity you have going on. Try not to leave your dog at home for long periods of time. While it is normal to leave pooch at home some of the time, especially when you are visiting family and friends, you don’t want to leave him alone for extended periods. 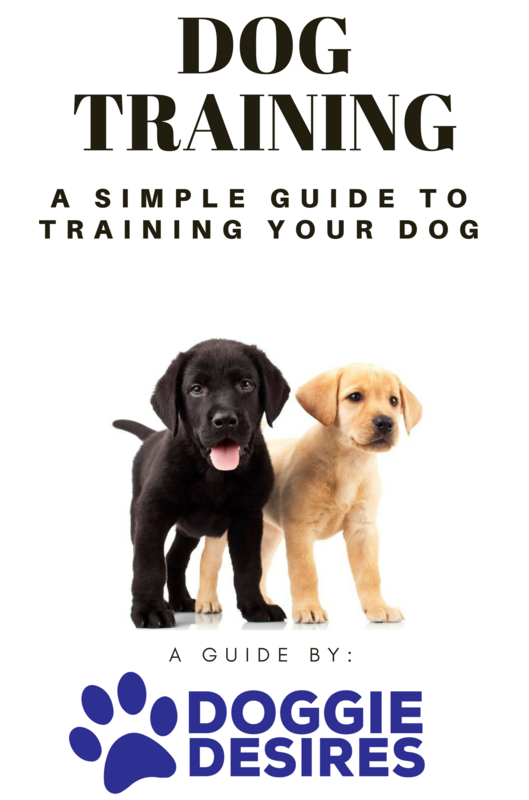 Take your dog with you when possible, but if you are unable to, perhaps ask somebody to pop into your home to feed, water, and give your dog a little bit of attention. Not only will this make your dog happy, but you won’t have the shock of coming home to find your Christmas tree in shreds because your dog has had to do something with his time to alleviate boredom. We wish you a Merry Christmas. We wish this for the two-legged members of your family, and those family members with four legs. We hope you all have a fabulous time, whatever it is you get up to. Follow the tips we presented you with in this article, and your Christmas will be better than ever!